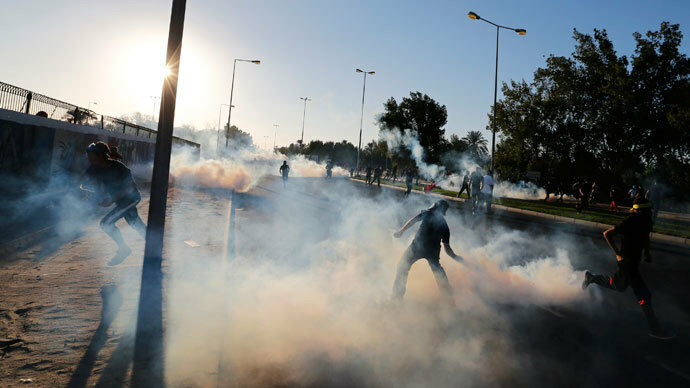 Bahraini police have fired tear gas and birdshot at stone-throwing protesters in a village west of the Gulf nation’s capital, witnesses said. The clashes follow the funeral of a young man who died in custody after being shot by law enforcers. 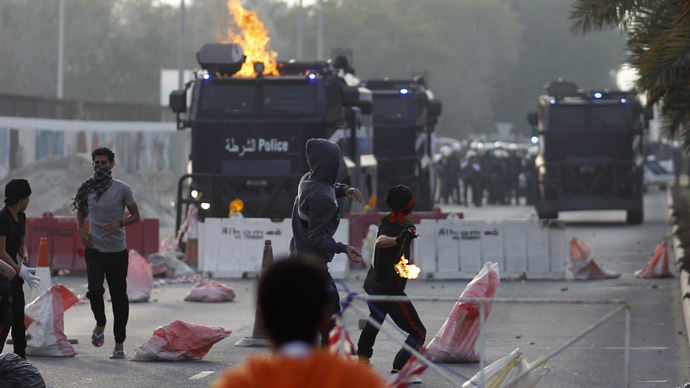 Shiite opposition group al-Wefaq said Sunday that 19-year-old Fadhil Abbas Muslim and his friend were hit with live ammunition on January 8 in the village of Markh, near Manama, AP reported. The bloc also claimed that Muslim’s family had been given no information about the young man or his whereabouts until his death was confirmed. On Sunday afternoon, hundreds of mourners - many chanting anti-government slogans - gathered for Muslim’s funeral in the mostly Shiite village of Diraz. 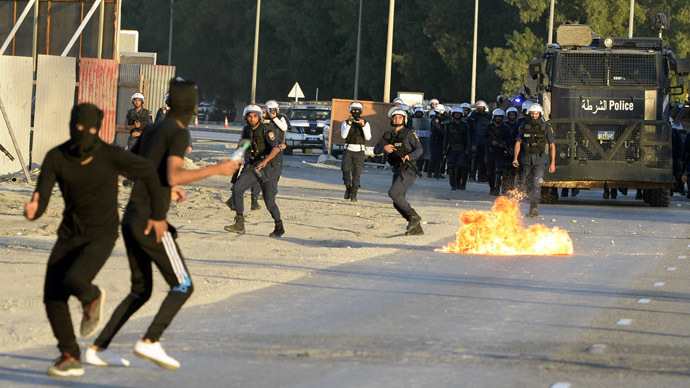 Later, protesters blocked roads and set fire to debris in the streets, while Sunni Al Khalifa regime forces tried to disperse the crowd, Reuters reported, citing witnesses. So far, there have been no reports of injuries on either side. Muslim’s father told AP that he was called early Sunday to collect the body of his son, who he described as innocent and uninvolved in any political activities. Bahrain’s Interior Ministry said it was informed on Saturday about the man’s death from injuries received in an earlier shooting. Muslim was shot in the head while attempting to resist arrest on suspicion of plotting to smuggle weapons and explosives into the Gulf kingdom, the ministry stated. The ministry added that police opened fire on Muslim in self defense as he attempted to run them over with his car. It stated that Muslim was immediately taken to hospital while a passenger in his vehicle was detained. It is now feared that Sunday’s clashes could trigger new tensions between the Shiite opposition and the Sunni-led government, just as efforts to revive reconciliation talks were showing some signs of progress. Earlier in January, Bahrain's Crown Prince Salman bin Hamad al-Khalifa held talks with main opposition chief Sheikh Ali Salman for the first time since the Shiite demonstrations began almost three years ago. Unrest has gripped the Persian Gulf kingdom - which hosts the US Navy's Fifth Fleet and participates in US-led military coalitions - since February 2011, when an Arab Spring-inspired uprising launched by the Shiite majority demanded reforms. Protesters have voiced concerns about discrimination from the Sunni minority - an accusation which the government denies. According to the International Federation for Human Rights (FIDH), at least 89 people have been killed since the demonstrations began. 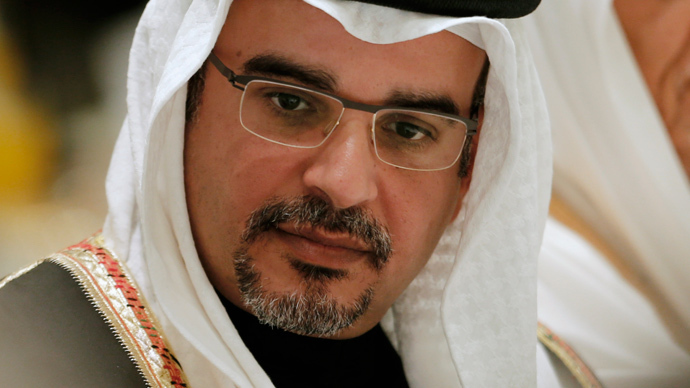 Rajab, president of the Bahrain Center for Human Rights and critic of the Sunni Al Khalifa regime, was arrested in July 2012. In December last year, the activist – who is considered “a prisoner of conscience” by Amnesty International - was denied early release by a Bahraini court. 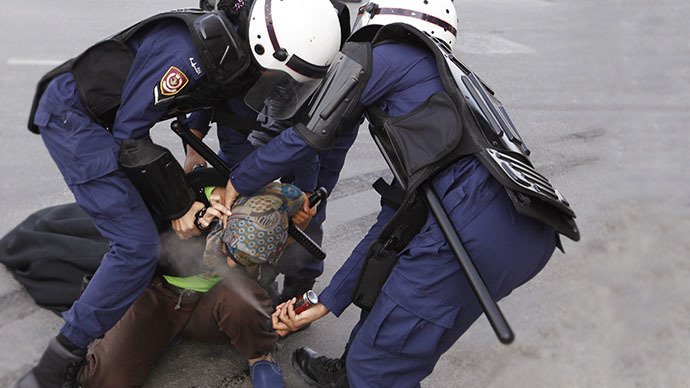 On January 10, FIDH and the World Organisation Against Torture called on the Bahraini government to immediately release Rajab. “Mr. Rajab’s ongoing detention is arbitrary as it results from the exercise of his universally recognized human rights and as his right to a fair trial has not been guaranteed,” the organization said.